The Internet Archive Wayback Machine is a service that allows people to visit archived versions of Web sites. This is especially useful for websites that have been shut down or if you want to see what a website looked several years ago. Most societies place importance on preserving artifacts of their culture and heritage. Without such artifacts, civilization has no memory and no mechanism to learn from its successes and failures. Societies have always placed importance on preserving their culture and heritage. But much early 20th-century media television and radio was not saved and the same applies for a lot of early websites. Our culture now produces more and more artifacts in digital form. 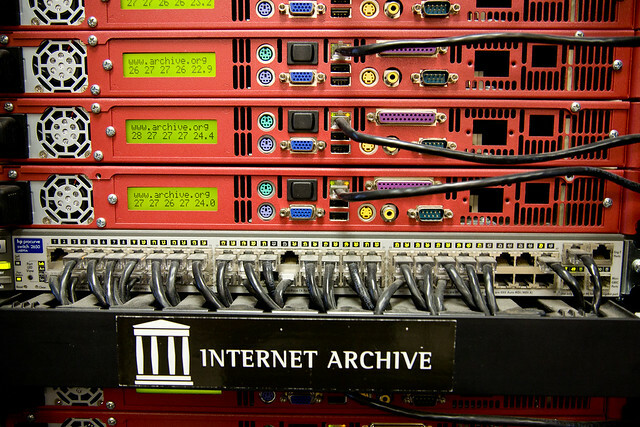 The Internet Archive‘s mission is to help preserve those artifacts and create an Internet library for researchers, historians, and scholars. The Archive collaborates with institutions including the Library of Congress, Smithsonian and Australia’s National Library Pandora Archive. The Internet Archive Wayback Machine lets you browse through over 432 billion web pages archived from 1996 to a few months ago. To start surfing the Wayback, type in the web address of a site or page where you would like to start, and press enter. Then select from the archived dates available. The resulting pages point to other archived pages at as close a date as possible. Keyword searching is not currently supported. Imagine surfing websites archived during 1999 and looking at all the Y2K hype or revisiting an older version of your favourite Web site like ABC News 10 years ago. The Internet Archive Wayback Machine can make all of this possible. When a site gets added to the Wayback Machine or checked again for updates, there is usually at least a 6-month lag, and sometimes as much as a 24-month lag, between that date and when the new information appears in the Wayback Machine. In some cases websites from certain specific projects like capturing information regarding a specific event like a natural disaster or national election may appear in a much shorter timeframe – as little as a few weeks. I have just found simple savings..went to facebook where the new page is called simple savers…. so far, nearly all posts are deleted, barely up for 20 minutes. There is no way I would pay a $30 subscription if this is how people are treated.